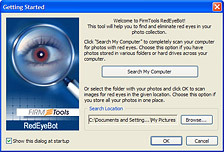 Red-eyes detection search results. Preview original and fixed photos. 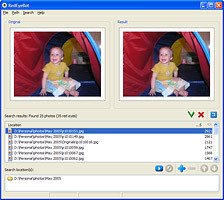 RedEye Photo Viewer with a detected and fixed photo loaded. 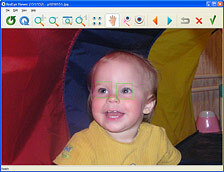 Startup dialog gives you a quick option to scan the whole computer or selected location.